Production: Manufactured from DXF files. CNC punched and formed. 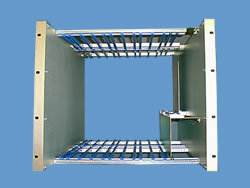 Slot formed construction and inhouse assembly of 17" card guides.